After Mannheim in 2009, Nice welcomes the 2nd Meeting of European Academy of ORL and Head & Neck Surgery at the Acropolis Congress Centre 27 to 30 April 2013. 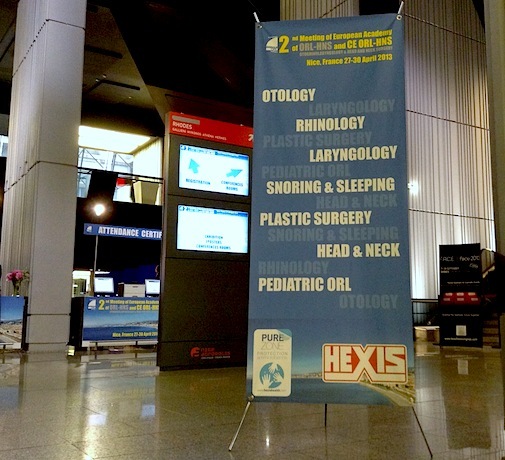 The format of the EAORL-HNS meeting is mainly designed to bring up-to-date the therapeutic skills of participants through direct exposure to the “best methods” of daily clinical practice in otology, neuro-otology, rhinology, facial plastic surgery, laryngology, head and neck surgery, audiology, phoniatry, Allergy… including all subspecialties adjacent to the ORL field. With over 3000 attendees EAORL-HNS 2013 has becomes the most important international congress of its kind. 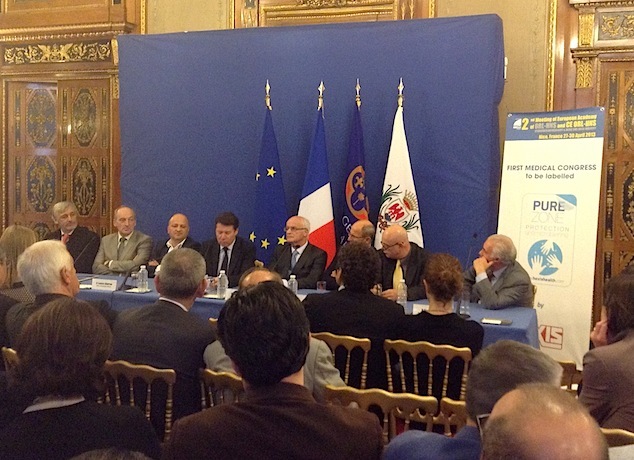 The press conference hosted by Christian ESTROSI, Mayor and Member of Parliament, jointly with Pr Jacques Magnan, Chairman of the 2nd EAORL-HNS & CEORL and Dr Frédéric BRACCINI was held in association with HEXIS and its “Pure Zone” label. 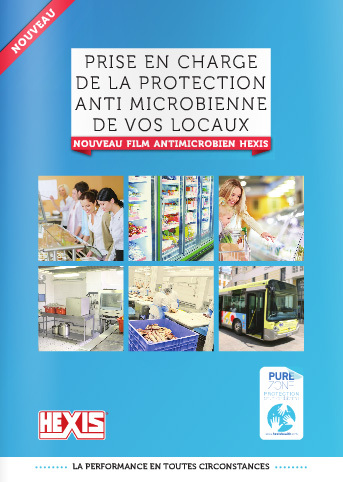 For HEXIS the congress was an opportunity to promote the “Pure Zone” antimicrobial solution in front of a large international panel of experts if the field of EAORL-HNS. 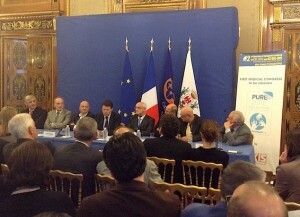 “Pure Zone” is the most efficient solution for the patient areas where hygiene is of prime importance. The self-adhesive antimicrobial film continuously protects surfaces by inhibiting bacterial growth and thus neutralising microbes.